I don’t usually write book reviews because I hate being a spoiler. Where’s the fun in discovering the treasure, or in this case, the knowledge yourself? But I since I owe so many things to these authors and this book, I wanted to write something special for them. So now, I’m not gonna write you a boring review. I wanted it be a little bit personal since this book has helped me change to a better and more financially aware person. 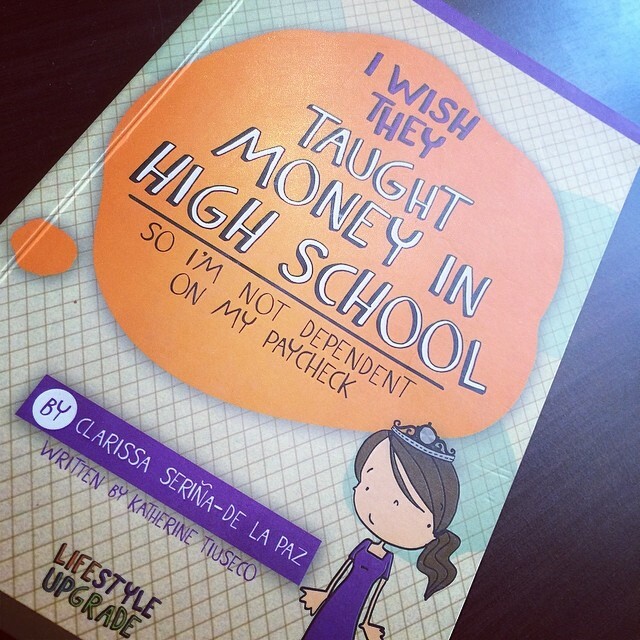 What I’m sharing with you today are the top 3 things l gained, yes, gained, not learned, from reading “I Wish They Taught Money in High School”. The first one on my list is “A NEW MINDSET” – I come from a middle class family and I am half the breadwinner. I say half, because my younger sister is helping me pay for the expenses of the family. And we are quite young, just 24 and 21. Nevermind the reasons why this has become our situation, but it is, until now. And because of this situation, I have been forced to compromise and compromise and compromise my dreams. My situation is not new to the Filipino culture. The reality is, when things fall apart, as early as it is, the kids have pick-up the pieces. Some even become the retirement plan, which is not what’s supposed to happen. I don’t want that to happen to me. I don’t want to run out of money after an emergency. I don’t want to rely on a single income and when it’s gone, I have nothing left. And I am now doing something about it. Since I read this book, I’ve started looking for other opportunities to invest on. Yes, I am investing and I am just 24. I started at 23. And I didn’t stop there. Because I opened my eyes, there were suddenly more opportunities for me, not just stocks or mutual funds. So many I didn’t notice were just in front of me. Why did I not see those before? So now, I am always on a lookout for new opportunities to study and invest on. One of the authors once told me, “The key to becoming rich is that you have think rich.” So I began asking myself: What do they do that sets them apart from normal people? What are their habits? What can I apply to myself? To my situation? And after reflecting, I tried to incorporate some of the learnings. And thus, I am now practicing “A NEW LIFESTYLE”, a better lifestyle. I started with simple things. I pay myself first on paydays, which means I cut my savings first before spending it on needs and wants. I also spent a little less and re-allocated my money to investments. As time goes by, my everyday decision-making was also influenced. When I want something, I asses first if it’s an asset or a liability. And in a month, I was able to pay all my debts. A month after that, I was able to improve my cash flow. Saving to invest has become a norm for me now. It’s hard at first because aside from my needs, there’s always something I want to buy, a movie I want to watch, something I want to eat, or an activity I have to spend on. Instant gratification is the weakness of yuppies like me, but I’ve learned to sacrifice little things to make way for bigger dreams and bigger opportunities. Lastly, I gained “NEW GOALS”. When I started working, I felt so invincible because I now have my own salary. There are a lot of things on my wishlist and they all seemed do-able by the age of 30. Then, life happens and I had to take-on responsibilities bestowed upon me. I’m expected to grow-up a little early and share a lot more than people my age. And, my dreams, of course, have to be set aside. Now, I have taken a U-Turn. I realized I can achieve them. I can achieve even more at the rate I’m going. Before, I never taught that I would like to have my own business. Now, I find myself planning the next five years, and planting the seeds to achieve these goals. So much has changed in the past 6 months that even though the times are hard, I’m still on track. I even added more destinations on my travel wishlist (harhar). As Marilyn Monroe said, “A girl knows her limits but a wise girl knows she has none.” I’m so grateful to have come across this book as this became the foundation of my financial literacy. Cla and Sharon have become my mentors and inspiration. They have helped me realize that I can achieve financial freedom and I can do it at a young age, no matter what the situation is. A part of me still dreams to become a doctor. I woke up at 6:00 because of a dream. It was pretty early considering I slept at around 1:00 in the morning. No, the dream wasn’t bad at all. I just wasn’t expecting a dream like that. It was… weird in all sense. In the dream, I was waiting for the the phone to ring. I was unemployed and waiting for more interview invitations from potential employers. Then, to my surprise, I got a call from a foreign university offering me a MEDICINE scholarship. They were asking me to send in my transcript of records in order to process my papers. They said that they were impressed because I had a good leadership experience in my younger years through the volunteer work and the extra curricular activities that I did, and that’s what made them decide to give me the scholarship. Then, I woke up. I felt weird because I know that dreams are part of our unconscious. Recently, I’ve decided that if ever I would pursue further studies, it was better to take a Master’s Degree in the field that I would be practicing or to push through Law school. I never realized that all this time, in a deep, dark corner of my heart, I still hold on to that faithful dream. 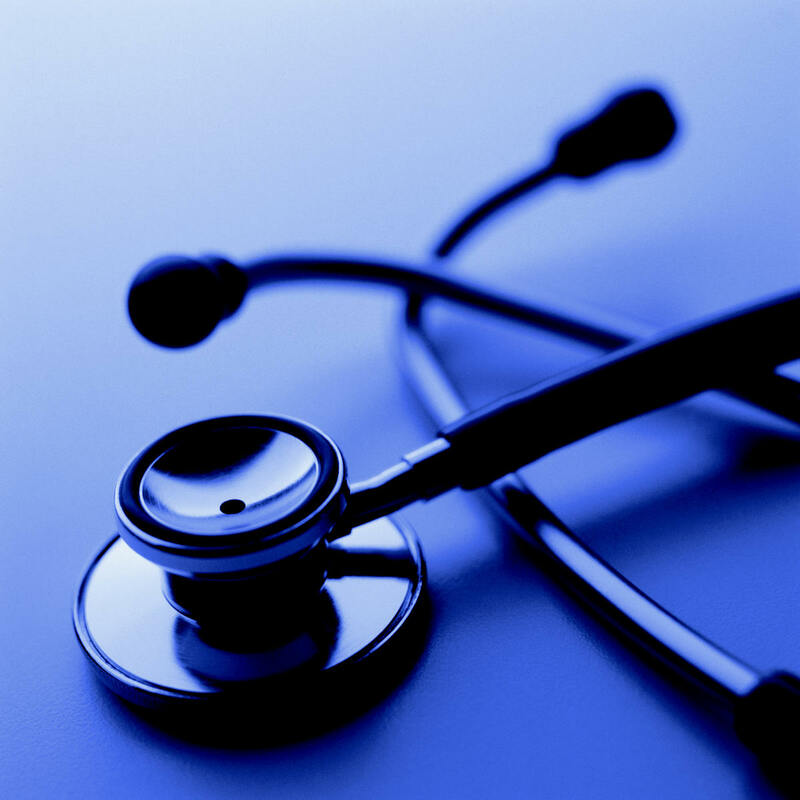 A part of me still dreams to become a doctor.